What is an IPS and Why We Believe it’s Important - Inukshuk Capital Management Inc.
January 16, 2017 /in Market Insight /by Inukshuk Capital Management Inc.
An Investment Policy Statement (IPS) is a personal and individualized planning document written according to an investor’s risk and return objectives. It serves as a roadmap for the portfolio manager to their client’s portfolios. The IPS is reviewed and updated on a regular basis or when there is a major change in the client’s objectives, constraints, or circumstances. An IPS generally consists of an ideal asset allocation, risk tolerance and financial goals describing the strategies the portfolio manager should undertake to meet these objectives. Account and client information – outlines the client’s basic information, available financial accounts and assets. Return objectives – desired investment return to achieve certain financial goals. Financial goals can include buying a house, paying for client’s kids’ education, retirement, travelling the world, etc. Ability vs. willingness to take risk. Ability to take risk is determined by the client’s age, income, number of dependants and other such factors. For example, a young individual with lots of earning potential and no kids has higher ability to take risk than someone close to retirement with two dependent children. Willingness to take risk is determined by the investor’s risk aversion and psychological traits related to risk taking. Someone who is comfortable with losing money is more willing to take investment risks than someone who is extremely conservative and risk averse. Risk tolerance equals the lower of ability and willingness to take risk. If a client is older with a smaller time horizon, his ability to take risk is likely to be low, for example. Even if his willingness to risk money is high, his overall risk tolerance will be low. Liquidity needs – how often the client requires to withdraw money. This is especially relevant for retired clients relying on investment income for their day-to-day spending. Time horizon – refers to the time period in which certain financial goals should be met. Tax considerations – client’s marginal tax rate and other tax considerations are discussed here. Legal and regulatory – anything related to the law. Any legal restrictions on owning or selling certain stocks can be mentioned here. Unique circumstances – any personal client circumstances can be written here. This may include certain holdings restrictions. For example, some investors only want to invest in socially responsible companies. Target Asset Allocation – this is the ideal percentage holdings in different asset classes to guide the creation of the portfolio. Feedback and rebalancing procedure – how often will the IPS be reviewed, what actions should be taken in extreme market conditions, how often should the portfolio be rebalanced to its target asset allocation should be discussed here. The client is the heart of Inukshuk Capital Management (ICM). 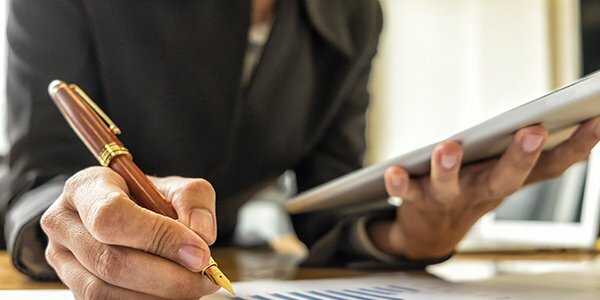 Everyone has different goals and objectives according to their relevant investment time horizon, risk tolerance, priorities, and investment selection guidelines along with applicable constraints such as liquidity needs, tax considerations and unique circumstances. At Inukshuk, we believe the purpose of an IPS is to document investment plans and provide guidance for consistent and informed decision making that is in accordance with those circumstances. When constructing the IPS, it also provides the opportunity to discuss the client’s investment preferences and to set realistic expectations and educate the client of the risks involved relative to the desired return. Many perceive an IPS as a compliance burden. However, avoiding the creation and development of an IPS involves great risk. For instance, whenever questions arise as to what investment decisions were made and whether they are in line with the client’s wants and needs, answers are difficult to demonstrate without the IPS. This document makes sure the Inukshuk portfolio manager stays focused on the policy and long-term objectives, provide consistency and guidance, even with market turbulence or sudden change of management. Just like any human being, a client will continue to exhibit human traits, reacting and wanting to take action whenever things don’t go their way. Therefore, we believe revisiting the IPS periodically is a great way to maintain good faith and trust. Click here to learn more about our personalized managed accounts.